As a writing tutor, the way I prepare for a session varies with the type of writing program I offer. 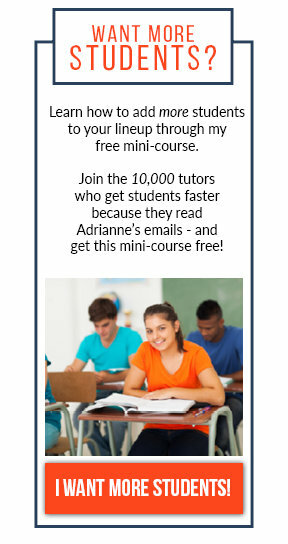 My practice offers three types of programs: weekly writing support for students in their academic classes, college essay coaching and extra-curricular writing support. The students who I support weekly on their academic work (the majority of my business) are frequently assigned papers on literature or asked to write research/opinion papers on specific historical events. For the literature assignments, I read the work in advance of the session and annotate the text to remind myself of important themes, literary devices, key characters and plot developments. I also consult online sources like Wikipedia, Sparknotes and Shmoop, which provide any details I may have missed as well as additional critical insights. In an effort to be as prepared as possible, I ask students frequently for a “heads up,” regarding what they will be reading in the weeks ahead, so I can begin reading a work I have not yet encountered. Occasionally, a student arrives in session announcing that they have begun a work I have not read. When this happens, the student and I research the author together on Wikipedia and consult Sparknotes for an overview of the work. These pre-reading activities have enormous value for students because they provide students (and me) with a context for the work. After the session ends, I read as much of the work as possible before the next session and try to complete the work in advance of the student’s reading assignments (I am thankful that I have read Jane Eyre twice). At this point in my career, I have encountered most of the works of a standard middle and high school English curriculum and usually only need to briefly revisit a work known to me in advance of a session. When I work with students on history papers, I inform them that even though I may be unfamiliar with the time period or person they are studying, I can still help them as they move through the writing process. Because I don’t market myself as a history tutor, I don’t feel compelled to research middle and high school history course content in advance. However, part of my preparation may involve in-session research. Ironically, I believe that my ignorance of the achievements of Song Dynasty or the causes of the Haitian revolution offers students an opportunity to clarify their ideas orally and in their writing. My preparation with college essay support is seasonal and less extensive than the students who meet with me weekly for academic support. Each summer, I visit the Common Application website to see if the essay prompts have changed since the prior year. At the beginning of the first session, I prepare a small packet of handouts that includes a tip sheet I created on how to approach the college essay throughout the writing process. The smallest portion of my tutoring practice involves working with students on extra-curricular writing projects. These programs are intended for students to work on general writing skills to develop their “voice” in writing. For these sessions, I routinely scout newspapers or chose a short novel involving a subject or issues I think might be of interest to that particular student. In the past, I have used Elie Wiesel’s Night, George Orwell’s Animal Farm, articles on human egg donation, transgender rights and other civil rights issues. Once I choose a novel or an article, I prepare a writing prompt that asks the student to describe the factual details and theme (if we are studying a novel) or explain the moral or legal implications of an article we are reading. Finally, I ask the student to explain and defend his or her opinion of the issues raised in the work. It is my hope that students will find these books and articles interesting and get them to think about and articulate their ideas both in session and later when they respond in writing. One of the reasons I enjoy my work as a writing tutor is my love of the content. For the academic support sessions, I enjoy reading and rereading most of the classic novels students are asked to read in middle and high school. I find that in revisiting these works, I discover something the text I had not seen before. I hope to convey this enthusiasm to my students. College essay coaching is rewarding because it offers me a break from the struggles of Hester, Hamlet and Okonkwo and allows me to help shape a high school senior’s written response to an important experience in his or her life. My extra-curricular writing tutoring sessions force me to read the newspaper with an educator’s eye, reminding me that the stories we read in the newspaper can teach students to think for themselves and write about the world beyond the pages of literature, history and their own experiences. 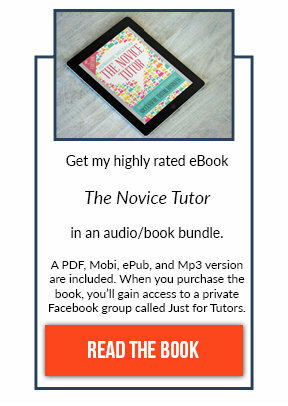 This is the best book I have found to date on writing tutoring. Writer’s Choice Grammar Workbook 9, 10, 11 and 12. Published by McGraw Hill. These may be out of print, but you can find used copies on Amazon. Good practice questions and succinct explanations of grammar rules. Sparknotes and Shmoop. Superb internet resources for literature when you need a quick chapter summary, review questions, or a quick video of the plot. For Shakespeare, Sparknotes offers a line-by-line “translation” of Shakespeare’s text into modern English. Warning: both sites have ads and distractor content aplenty. Wikipedia. My go-to for a quick summary of an author’s life, details about a particular work of literature or a historical event. A Print Dictionary. If a student is having trouble finding the right word, I often send him or her to the dictionary, since the definition always offers synonyms. Bonus if the dictionary has word roots and word origins. YouTube. Just recently I found a video of Langston Hughes reading one of his own poems that one of my students was studying. Score! 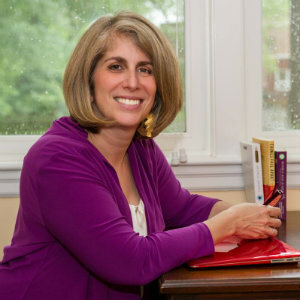 Bio: Jane Hirschhorn has been a Boston-area writing tutor for more than 20 years and a lover of books and writing for far longer. She is the owner of JBH Tutoring, which celebrates its third year in business this month.